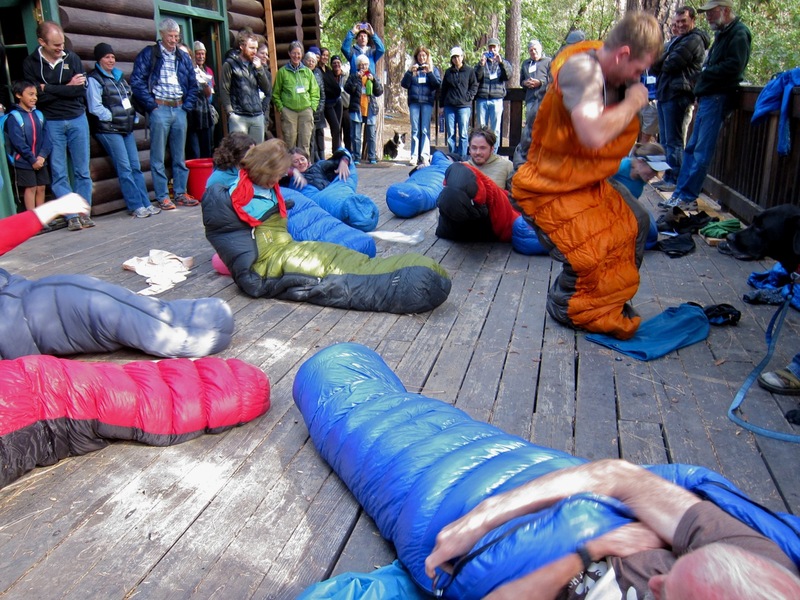 The sleeping bag speed stuffing event during the Hiker Olympics. Anish won the event and eventually the gold. I attended another wonderful hiker gathering last weekend. The size, format, venue and schedule of this ALDHA-W Gathering seemed just right. Not too big, not too small. Just a perfect weekend of slideshows and hanging out with really great people. You are some impressively strong, skilled and experienced hikers. Hot damn that’s a lot of walking. Thanks for being my friends. After the Gathering, I spent the rest of the long weekend higher up in the hills. We lunched in Downieville, snacked in Sierra City, camped at Packer Lake (in a fall drizzle), and road tripped through the “lost Sierra”. Ambling around Truckee, Tahoe City, the lake, shopping for a SUP and exploring the Donner party’s history happened too. 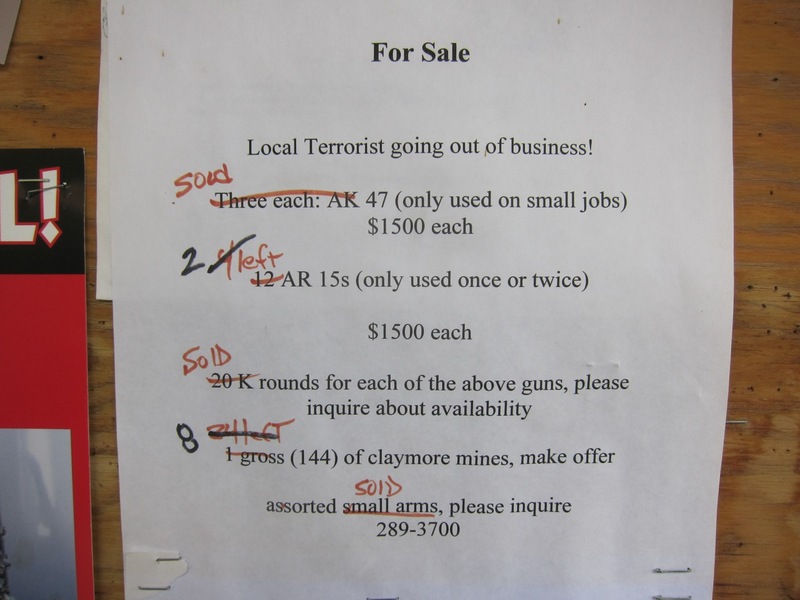 Reading small town bulletin boards is a worthwhile way to spend my time. An Appalachian Trail hiker was set on fire while in town for resupply because some people are rotten. What the heck is wrong with people. Today has been my favorite day on this trail so far. A little after midnight, the shelter crew and I were woken up by thundersnow. The world was an intense place for half an hour. We had loud claps right up on our ridge and almost an inch of snow came along with it. Very intense weather. It was blowing snow inside the shelter, but by the time everyone had covered up with tarps, it was calming down. Hiking today was mostly through snow and mud. Early in the morning, Mango was at a road providing trail magic. It was cold, so it was the gesture and conversation that was most appreciated. Up we went. We had a quick lunch at a shelter. I learned of the existence of bottled water marketed at infants. Snow became deeper and more continuous as we headed up Roan Mountain. It was windy and freezing. It was beautiful and a fun adventure. I hiked again with Llama Legs. It was almost like gliding on the snow covered trail. The conditions made the views from the two balds we crossed all the better. A crew joined in for a twenty four mile day. Most of them didn’t want to stay up in the cold and snow at the highest shelter on the trail. Nearly two dozen of us are clustered here at Overmountain Shelter. It’s an old barn. It has a great view, and the conversation is flowing. Some of us have retired to our bags to warm a days worth of frozen feet. Today confirmed my love of snow walking. This is my last night on the trail before I head back to California. It’s up in the air whether I will be continuing this hike. I’ll know in two weeks time. First photo: The crew with thumbs up after a neighboring table bought their dinner without telling them. Second photo: Cherry Gap Shelter. I hung out in Erwin, TN for two half days. 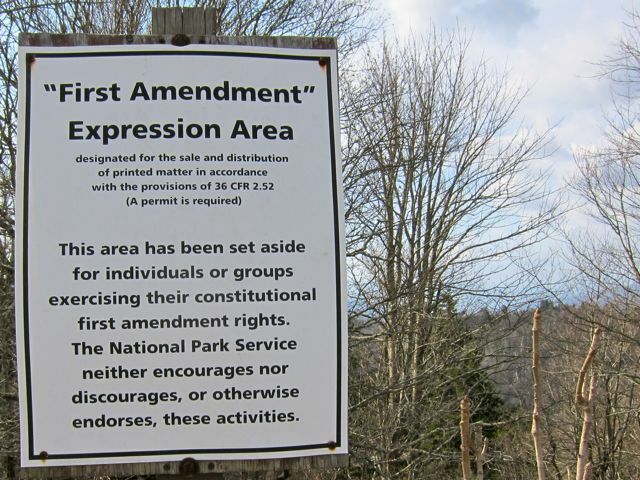 While it has some sort of official “great trail town” designation, it wasn’t. Uncle Johnny’s Hostel was home to over a dozen of us. Besides incredibly hard selling employees, it was fine. They run frequent free shuttles to stores and restaurants. This creates a feeling of being shuttled along through the hiker circuit, the hiker train in a way. I didn’t want to be a part of the tour, so I left the van and spent all day in town on foot. For a great hiker town, it has no sidewalks. Burned out on the broken American dream, I went to where it’s still being lived. I ate at Mexican Restaurant, an eatery straight out of Mexico. It was refreshing and delicious. I pulled north out of Uncle Johnny’s this morning after ten. I walked with Freefall, and also Llama Legs. He’s been an amusing feature in the shelter registers, writing comedy and gibberish in ALL CAPS. It turns out that he recognized me from one of my youtube videos. Today was a special day to be out here. The forest was covered in ice and snow. It was beautiful. Simple as that. I’d never walked in similar. Tonight, I’m sheltering due to a forecast of snow. Lying next to me is Ewok, likely the last Southbounder. He’s full of positivity. Great day to be out here. Wish you were here. After being passed, I caught up to Freefall in Hot Springs, NC. We neroed and zeroed. It was excellent. The highlight was indisputably the hostel. For twenty bucks a night we stayed in a mid-nineteenth century manor. It’s full of antiques and staffed by hikers. One, recognized me immediately from this blog (hey!) I sat around in comfy old chairs and on a large second floor porch talking with hiker friends and reading from the house’s library. Elmer has nearly the same type of collection that I’d have if I had a collection. Another highlight were the vegetarian gourmet communal meals. Truly one of the best hostels I’ve been to. Today, I helped Butter reoutfit. We sat at a computer and I chose a new backpacking setup for her. Once everything arrives, she will go from perhaps a twenty three pound baseweight to an eight or nine pound one. For the rest of the trail, she will be enjoying a true ultralight setup, with likely the lightest setup that I’ve seen out here. All told, the changes were made for about $800. Not bad for a new stove, pot, tent, pack, pad and sleeping bag. After noon, Freefall and I finally hit the trail. We sill managed about fifteen miles. No views as we were walking through the clouds. We also stopped by a trail angel house to get some water as an “unreliable” spring was indeed dry.